Upcoming new Tollywood Bengali film Comeback movie story review castings director producer actors actresses Comeback release dates book buy tickets online Bengali Comeback Rituparna Sengupta. Photos pictures wallpapers download mp3 songs Comeback Rituparna Sengupta. New Bengali movie review plot shooting location cinema halls showing Comeback kolkata hooghly howrah Bengal show timings upcoming hit Bengali cinema Comeback details information. Pallab Ghosh directed Bengali cinema Comeback featuring Rituparna Sengupta, Firdous and Angshuman. 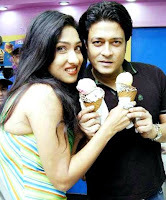 Actor Angshuman & Rituparna Sengupta on-screen chemistry will be seen once again after Trishna Bengali movie. • Comeback Bengali movie Director Name: - Pallab Ghosh. • Comeback Bengali movie Producer name: - Channel Eight Motion Pictures. • Comeback Bengali movie Music Director Name: - Ashok Bhadra. • Comeback Bengali film Casts Actors Actresses: - Rituparna Sengupta, Firdous Ahmed, Anshuman & others. • Comeback Bengali movie Release Date: - 30th March 2012. • Comeback Bengali movie Story Review: - Rituparna Sengupta is playing a Double role in Pallab Ghosh directed Bengali movie Comeback where she played both the roles of Wife and Daughter. The story of Rituparna’s Comeback movie is on traditional Bengali housewife Anjali who is married to Dibyajyoti (Ferdous). Anjali’s daughter Adwitiya (played by Rituparna) decides to cure her father Ferdous who became insane after the death of his wife Anjali. Co-actor of Rituparna Sengupta in Trishna, Angshuman is playing the role of a Police officer (COP). • Shooting Location Spot of Comeback Bengali Cinema: - The film shot across Mumbai, Mahabaleshwar, Vishakhapattanam and in Kolkata. • Cinema Halls showing Comeback Bengali movie: - Aruna, Puspasri (Behala), Narendra (Dumdum), Narayani (Alambazar), Amala, Debjani (Basirhat), Krishna (Baruipur), New Bijoli, Mahamaya (Dakshin Barasat), and many other Cinema halls across West Bengal. Tollywood film Comeback of Rituparna Sengupta & Others., upcoming new Bengali movie, seems to be worth watching in Cinema Halls; so start buy tickets online of Comeback from www.bookmyshow.com website.